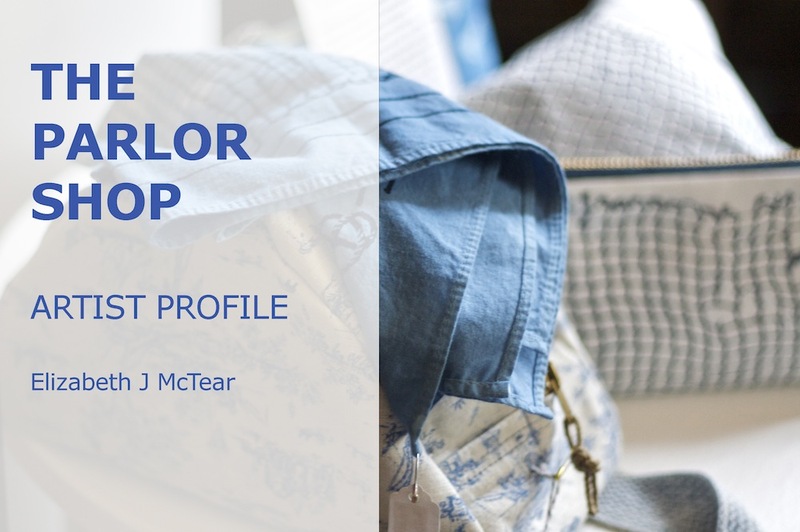 Elizabeth McTear is a Moore College graduate with a joint love of textiles and the ocean, which you can certainly see in her fabulous works available here at our Parlor Shop! 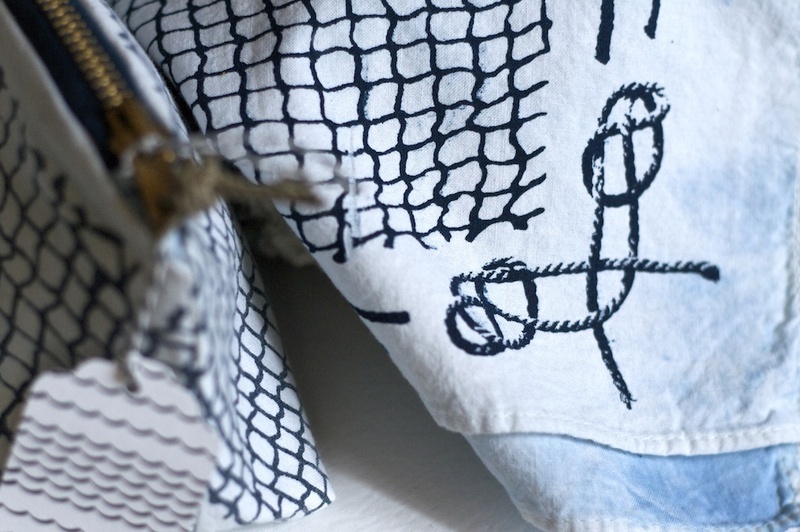 Elizabeth designs and dyes unique nautical prints and produces a range of items, including scarves and clutches printed with fishermens’ nets. 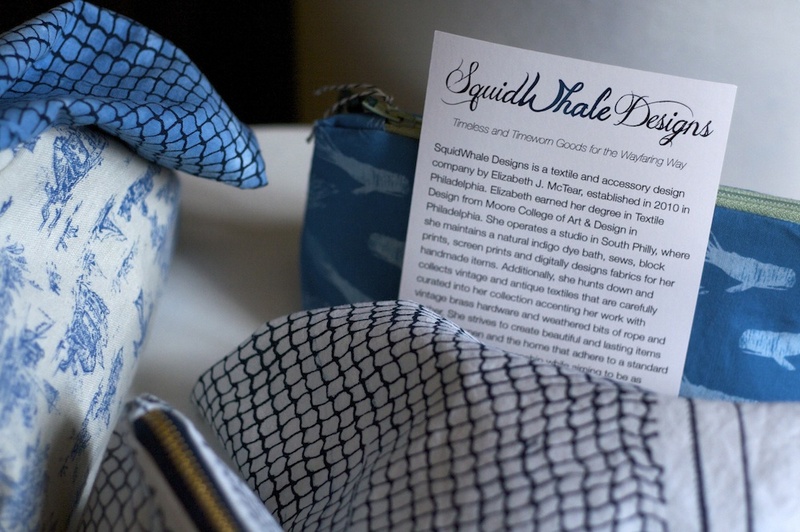 Her deep blue nautical prints conjure up images of whale’s tails and adventures on the high seas, but she actually makes them right here in Philadelphia, and not while sailing on the open ocean! Whether you’re a landlubbing lover of local artistry, or an oceanfaring ol’ seadog, you’ll fall in love with Elizabeth’s cute bags. We’re in a ‘knot’ over which one of these designs is our favorite! Categories: Art, Craft, Philadelphia, Philly, Rittenhouse Square, Uncategorized | Tags: parlor shop, rittenhouse shopping, squidwhale designs | Permalink.